From the 26th to the 27th of June 2018, Yamoussoukro, the Ivorian capital will become the African capital of innovation on renewable energies, on the occasion of the second edition of the Green Africa Innovation Booster (Green Aib), the African event promoting green innovation. The National Research Institute for Solar Energy and New Energies of Morocco (Iresen), in collaboration with the National Polytechnic Institute Félix Houphouët-Boigny of Côte d’Ivoire (INP-HB), are organising from the 26th to the 27th of June 2018, the high mass of African innovation actors in the field of renewable energies. The Green Africa Innovation Booster (Green Aib) is a two-day international event that aims to bring together African and international researchers, startups and industrialists in the sustainable energy innovation sector. This year, more than 100 startups from all over the world are coming to the INP-HB. They will present their innovations in the fields of renewable energy, energy efficiency, smart grids and sustainable mobility. This exhibition space is one of the flagship components of the Green Aib, called “Africa Green Tech Village”, a space arranged right in the middle of the site, where B2B stands and meetings abound. It promotes collaboration, creativity and exchanges in the field of renewable energies. 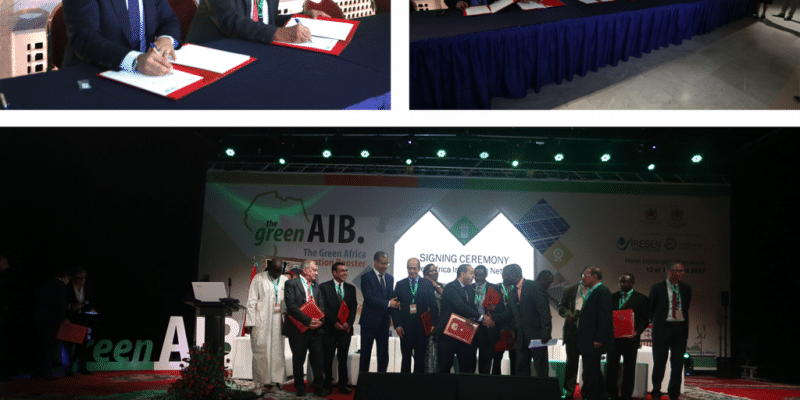 During the first edition of Green Aib in July 2017 in Marrakech, it is thanks to this articulation that two conventions were signed by Iresen. These are the “Green Africa Innovation Network” Memorandum of Understanding, which has set up an African Green Innovation Network, and another protocol called “Mediterranean Energy Academy” with the Italian consortium “Res4med”, which provides for the establishment of a contractual basis for cooperation in the fields of renewable energy production. Three awards for the best innovative startups ($4,000, $6,000, $8,000). Best Doctoral Thesis Award ($3,000). Researchers, entrepreneurs and startups interested in this competition have until June 23, 2018 to send by email, their application. After two days of pitching, the finalists will be selected and awarded on the evening of June 27, 2018 for the closing ceremony of the event.